Valve is overhauling Steam broadcasting. 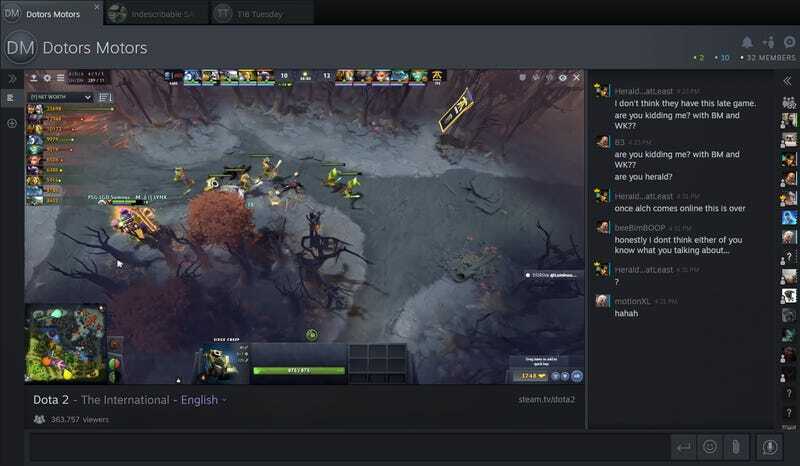 After accidentally launching Steam TV on Friday, Valve has officially rolled out the platform for DOTA 2 and plans to do so for all games in the near future. Features include Steam chat integration, live event rewind, and annotations for moments like first blood in a DOTA match.